Your dream property in Shrachi Greenwood Nest to match your needs! Buying a residential property in the heart of the city is everyone’s dream. Buyers look for modern facilities and amenities in a house to have a comfortable living. Kolkata being a metro city has a huge number of flats and apartments having world-class amenities that buyers can select from. In the recent times, Rajarhat near Kolkata, has also seen a huge surge in real estate development with many flats and residential apartments coming up everyday. 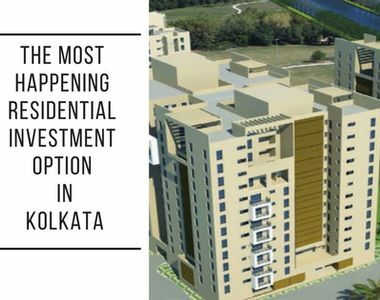 Hence, purchasing a Property in Kolkata would be a great investment idea for home buyers. Shrachi Greenwood Nest is one such residential township in Rajarhat that provides all the latest facilities to the residents. Homebuyers in search of comforts and conveniences of modern lifestyles can give it a thought of purchasing a property here. Prices are one of the major concerns for people while buying homes and flats. Considering the needs and requirements of the buyers, this property has been designed in a way to suit every pocket. There is something for everyone here! 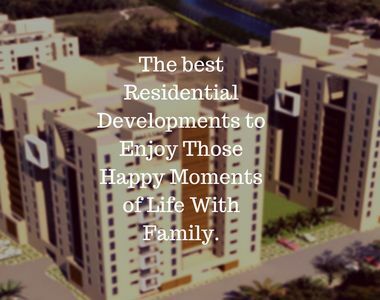 The township offers spacious 2 BHK and 3 BHK homes where you can have a luxurious stay with your loved ones. The price of 2 BHK flats starts at Rs 59.50 lakhs while the prices for 3 BHK apartments starts at Rs 81.75 lakhs. To know more regarding the price and size of the houses kindly visit the company’s official website. Shrachi Greenwood Nest is an excellent Property in Rajarhat Kolkata that fulfills the needs and requirements of the buyers. The residential complex is very well connected with hospitals, schools, colleges, banks, hotels, restaurants, ATMs, recreational areas, parks and supermarkets making the residential blocks a desired destination for hassle-free commuting. Security is another important aspect for which you can consider buying homes here. The township takes utmost care that the dwellers feel safe and secured with 24*7 security services. Since the apartments are reasonably priced, you do not have to think twice before buying apartments here. Live your dream of purchasing Apartments in Kolkata with these housing complexes. This township is committed towards providing the best services to the customers as their satisfaction is the primary goal that drives its business. If you are thinking of buying Flats in Kolkata then you can opt for this group. So, hurry up and register here today to discuss all your property related requirements.